When boots are comfortable enough and tough enough for hiking, stylish enough for Sunday afternoons and still safe enough for work, you're wearing Reebok Men's Black RB6750 Trainex EH Non Metallic Composite Toe Sport Boots. These all-black boots are athletically st ... (see full details) (see specifications) #RBKRB6750. When boots are comfortable enough and tough enough for hiking, stylish enough for Sunday afternoons and still safe enough for work, you're wearing Reebok Men's Black RB6750 Trainex EH Non Metallic Composite Toe Sport Boots. These all-black boots are athletically styled, but they're made for durable safety when you're on the job. The uppers are detailed with a white lacing accent that contrasts handsomely against the black-on-black design. These Reebok safety boots made with soft leather material that stays flexible and functional even in wet, cold weather conditions. Leather feels supple to the touch, but don't doubt that it's also durable. It withstands wear and tear and stays tough against the elements, because that’s how non-metallic work boots ought to be. Inside these composite toe boots, lightweight EVA foam was used to create the inner cushioning. The soft foam adjusts to your feet and absorbs impact to keep your steps comfortable. The removable design means these insoles are easy to clean. Just take them out any time, and prevent terrible odors. Sponge rubber heel wedges have been integrated right into the design of these men's Reebok boots to further soften shock. The impact-absorbent, spongey rubber absorbs shock in the heels, right where you need comfort the most. The soles give you two layers of protection from the harsh ground and cold floor below. They’re made in a dual-density design to absorb impact, soften shock and pretty much keep your feet feeling okay. The traction bottoms on these athletic sport boots are made with 90-degree heels that give you a better grip on ladder rungs. Heel airbags add a core of airy shock-resistance. The soles are resistant to corrosive oils and chemicals, as well as abrasions, so they’re definitely ready to work. These Reebok boots are even rated for EH protection, which means you’ll stay safer around electrical hazards. The non-metallic safety toes are part of the 100% security-friendly non-metallic design. These safety toe boots are made with composite, not steel, because composite won’t conduct temperature or electricity. They do protect you from impact and compression dangers, and they’re ASTM F2413-05 rated to prove it. Because they aren’t metal, they won’t give you any grief at security checkpoints. When your safety footwear can do it all and keep you comfortable at the same time, you’re wearing Reebok Black RB6750 Trainex EH Non Metallic Composite Toe Men's Boots. Boot looks AWESOME!!! But when received ..boot looked too bulky, not slim lined like a hiking boot. The size was way off...I wear a size 9..but thought to go a size smaller for a boot, ordered a 8.5...but boot was way too big. had to send it back for something else. Lighter and more comfortable than the Red wings I have and the Thorogood boots I tried.!!! No "break in" needed either. These are comfortable right outta the box!!! I may put inserts in them just for added comfort. Being a mechanic with a bad back, I need every bit of help I can get!! I wear nothing but Reebok sneakers, because they fit the best. others just don't do it. however with these boots I am disappointed. The comfort is just not there, I find myself wanting them off after a couple hours. I only wear them now as a safety deal at home. Construction seems to be decent. padding is not like a sneaker. Not horrible, just not comfortable. Boot looks awesome. But size ran too big. Was not able to wear. Once on , the boot seemed to large on my feet, looked very bulky....may be great for winter wear. I wanted to wear with short's...like a hiking boot, for my outdoor job. Used the free return for a different boot. Customer Service was great in helping to do that!!! 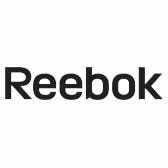 Reebok Boots: Men's Black RB6750 Trainex EH Non Metallic Composite Toe Boots is being added to your cart.